xoxo: cupcakes made with love love love! cupcakes made with love love love! welcome to cupcakes made with love. 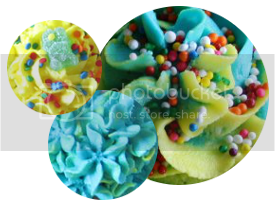 below you can view some pictures of the delicious cupcakes i have baked & decorated. if you want to place a cupcake order with me, please send me an email! if you'd rather make your order over the phone, send me an email & i will give you a call asap! 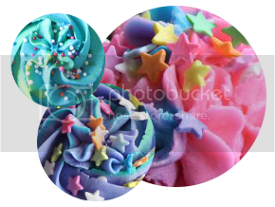 you can choose vanilla, chocolate or buttercream - if you choose vanilla or buttercream, i can do what ever colour you want! ♥ minimum is 6 cupcakes! i love baking cupcakes and it really shows once you see the cute little creations, i am open to all sorts of ideas, but am also very creative, and love coming up with lots of fun & fresh ideas for my cupcakes! little miss party herself, julie ross! vanilla cupcakes with reese peanut butter cups on top! vanilla cupcakes with vanilla icing and oreo's on top! mini cupcakes with teal buttercream icing. butter pecan cupcakes with buttercream icing. flowered icing tip, with glitter fairy dust on top, and pearls. OMG, those cupcakes look so delicious! yum yum, i wish i lived near you i would totally get some of those st pattys cupcakes today! Fantastic! Are they real? Can you actually eat it? those reese's ones! you have such a fantastic selection!